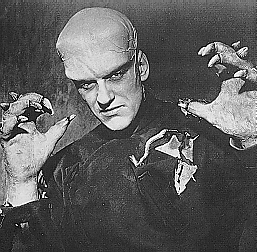 James Arness played the title role in the 1951 classic monster movie, The Thing. The original classic B&W movie has been colorized. Click on The Thing for more information.